Rosa Chalekian joined Lake Avenue Financial in 2010. Over the years, she has developed so many wonderful relationships with Lake Avenue’s clients because of her personal interaction with them, which is her favorite part of the job! 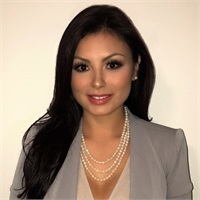 As Vice President of Operations, Rosa’s proactive and highly organized nature contributes to providing clients with an optimal client experience. Her methodical approach to learning and problem solving helps her develop and implement processes in an extremely efficient and accurate manner. Her love for providing outstanding customer service and being able to build long standing relationships with our clients is fundamental to her role. By putting our clients at the center of what she does, Rosa understands each client and demonstrates her genuine desire to exceed all of their expectations. She is eager to deliver an experience that is of high value and worth to our clients.